Tottenham striker Harry Kane has equalled an incredible record held by Chelsea legend Didier Drogba in London derby matches after scoring the winner against Crystal Palace this afternoon. The England international netted late on to deliver a crucial 1-0 victory for Spurs as they chase a top four place this season, with Kane showing once again that he’s one of the best finishers in the business. As well as that, he’s also shown he’s a big game player with a late strike at a big moment in a derby game, his 23rd against London-based opposition. Remarkably, he’s managed that in just 34 games in all-capital clashes, meaning he’s gone level with Drogba in 30 fewer appearances, with the Ivorian scoring 23 in 64. 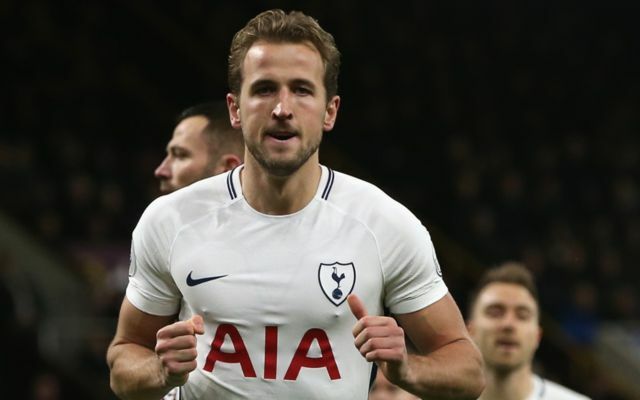 Tottenham are hugely reliant on the prolific form of Kane, who has now scored 35 goals in just 36 games for the club this season. It can’t be long before top European clubs show a serious interest in snapping the 24-year-old up, as there are very few at the top level in the game with such impressive scoring statistics as this man at the moment.